Click to enlarge. 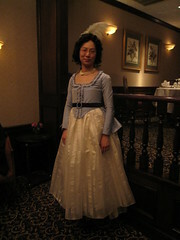 Left: front view at the 2012 Francaise Dinner. 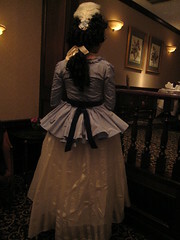 Right: back view. Notes: Made December 2011-January 2012. Sewn by hand. I made a long two-piece sleeve pattern using the original Period Impressions sleeve as a base.